On Wednesday, March 20th, join us again, or for the first time, for an enjoyable social hour and an engaging presentation! Green Drinks events are held internationally for people who work in the environmental field and others who are interested, including a lively mixture of people from non profits, academia, government and business. 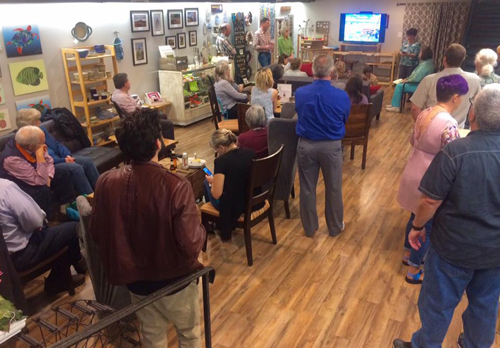 Green Drinks in Frederick is co-organized by Envision Frederick County, Green Frederick, and the Frederick Zero Waste Alliance. Enthusiasts of sustainability issues and people wanting to learn about products and actions that make their lives more sustainable should come to the Green Drinks networking event in Frederick. Dublin Roasters is a business that participates in composting and other environmental initiatives. 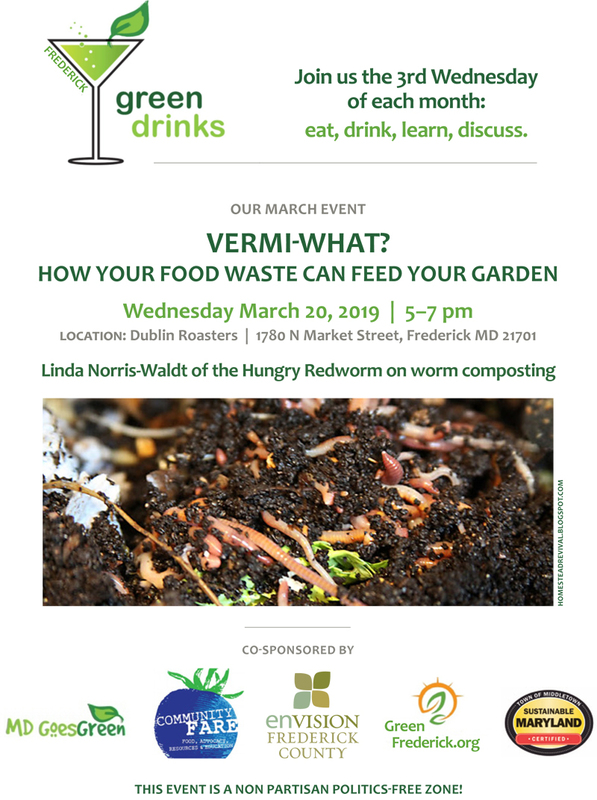 Featured speaker will be Linda Norris-Waldt, The Hungry Redworm, who will speak about vermicomposting, a way of composting food waste indoors and in small spaces.